We sure got us quite a busy day, playing three festivals. 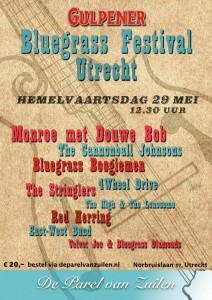 First we’ll be in Utrecht at the Gulpener Bluegrass Festival. 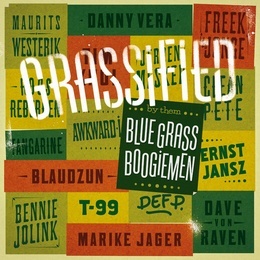 We’ll be kicking this second edition off around half past twelve in the afternoon. 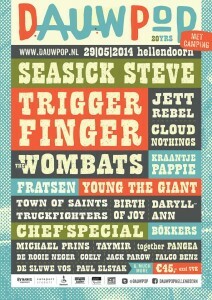 Then we’ll be at Dauwpop in Hellendoorn, where we’ll do a set from five thirty ’till a quarter past six, and then another set from a quarter past seven ’till eight o’clock. 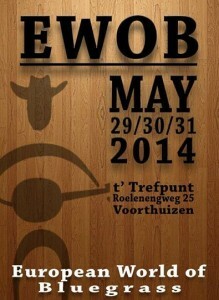 And last but not least we’ll be doing a set at the European World of Bluegrass Festival in Voorthuizen around 23.00, closing down the Thursday. For any additional information you can follow the links under ‘Upcoming shows’ on the right side of the screen. Hope to see you folks!